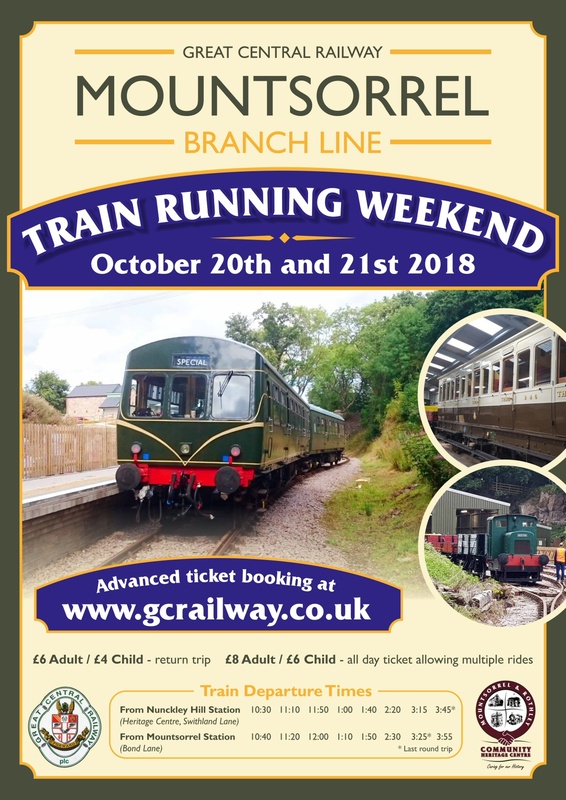 We are pleased to announce that the GCR will again be running their DMU on Saturday 20th and Sunday 21st October. As before the trains will be made up of the carriages forming the GCR’s heritage diesel multiple unit (DMU). Trains will run between 10:30am and 3:45pm and run every 40 minutes between Bond Lane and Swithland sidings, stopping at Nunckley Hill. Ticket prices are £6 for adults, £4 for children, and are available to purchase from the GCR’s Website. These trains will NOT join the GCR’s main line and can only be accessed from our Bond Lane and Nunckley platforms. 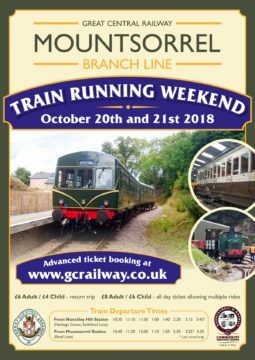 Tickets are only available on-line or cash-only on the day, so please don’t overload the GCR and heritage centre phone lines seeking to purchase tickets. All our attractions will be open on both days including our Garden Railway, 9-hole crazy golf, Granite’s shack, and both our Nunckley and Spinney nature trails. 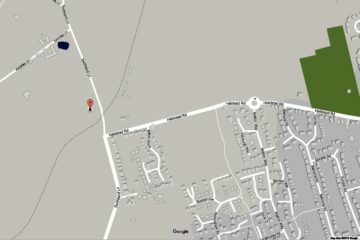 Directions can be found on our How to Find Us page. If your Sat-nav does not have our postcode, LE7 7UE, then please use LE7 7SJ which should take you to the junction of Halstead Road and Swithland Lane.